Our refurbished Symbol LS4278 (also known as Motorola LS4278 and Zebra LS4278) helps users increase productivity and cut costs while providing free movement throughout the workspace. 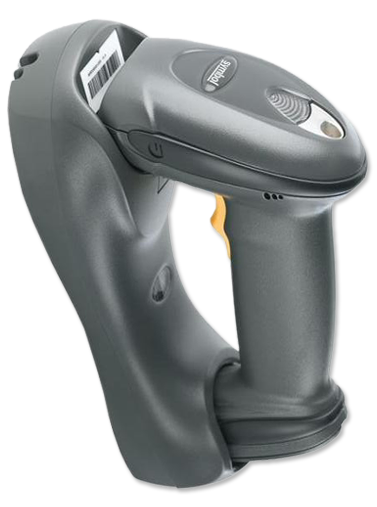 The Symbol LS4278’s unique array of productivity-enhancing features allow novice and advanced users to process items more rapidly and spend less time keying in data. Contact us today about buying, servicing, renting or selling Symbol LS4278 gear! The addition of Bluetooth wireless communications for the Symbol LS4278 provides workers with the cordless freedom to move to large bulky items for scanning instead of risking injury from lifting heavy objects plus the ability to physically check all sides of a shopping cart for unscanned items. The Symbol LS4278 communicates via Bluetooth to the cradle, which in turn connects to the host computer via a variety of connection interfaces, including USB, Keyboard wedge and RS-232. Contact us today about buying, servicing, renting or selling Symbol LS4278 gear!